A pie is a baked dish made with a pastry dough casing, filled with various sweet or savory ingredients. While the world history of pie stretches all the way back to ancient Egypt, today I’m going to focus on the American history of pie. 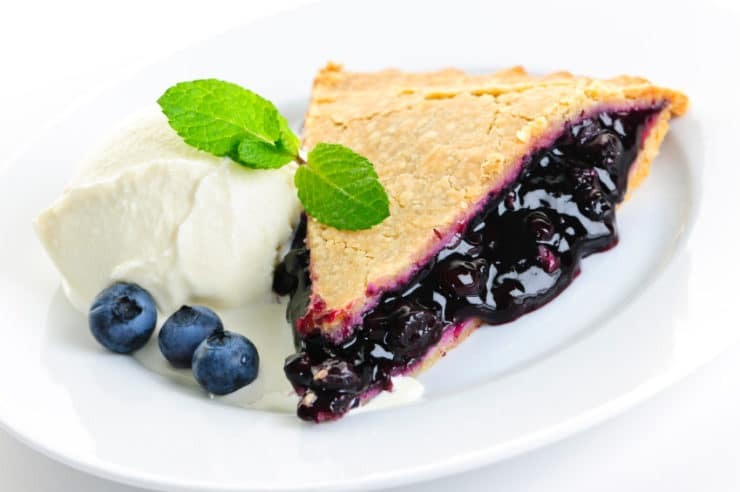 The Oxford Companion to American Food and Drink gives a great overview of how the early American settlers adapted their native pie traditions to their new homeland. The surrounding countryside offered the newcomers a rich array of fillings, not only fruits and berries that were akin to those they knew back home but also unknown vegetables and game they discovered with the help of Indians. 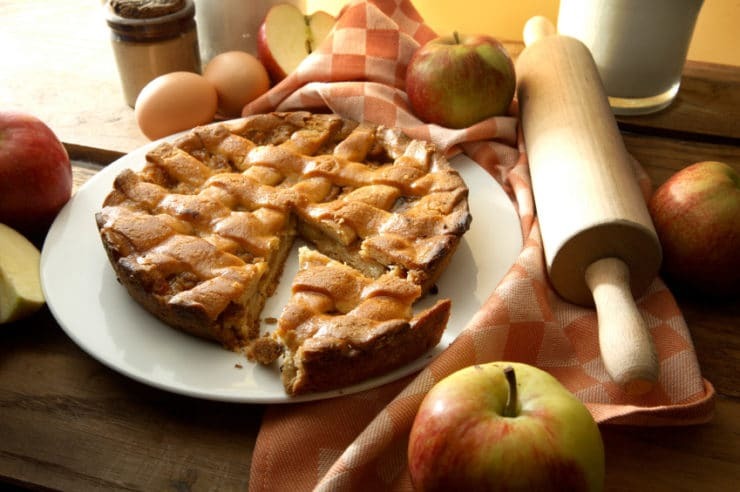 The Pilgrims brought apple spurs with them as well, and when they matured into flourishing fruit-bearing trees, apple pie quickly dominated the American table because the abundant fruit was easy to dry and store in barrels during the winter. In addition to pies being a delicious treat, settlers also had practical reasons for making them. Pies used less flour than bread and could be easily and cheaply baked. They provided a sustainable food source that could be rationed out to hungry immigrants. Pie continued to sustain early Americans as they settled the west. Once pioneers found land to claim as their own, their pies began to reflect the regional differences of the areas where they settled. Pumpkin pies and pies sweetened with maple syrup were enjoyed in northern states, where Native Americas taught new settlers how to extract sap from maple trees. In Maine, the plentiful blueberry crops were often baked into pies, and over time blueberry pie became the official dessert of that state. “Chess pie” was popular in the South—a silky pie with a rich filling of sugar, cream or buttermilk, egg, and sometimes bourbon. The Pennsylvania Dutch made molasses “shoofly” pies, as well as stew-like savory meat pies known as “bott boi,” or pot pie. 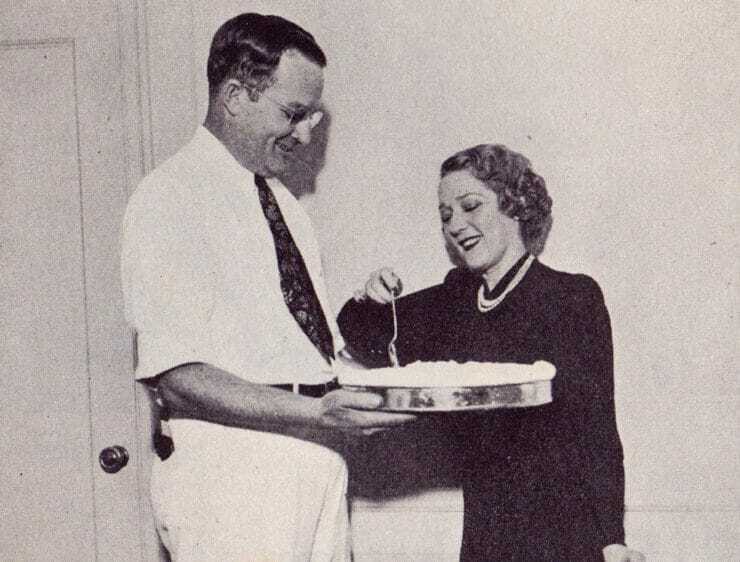 Settlers in Florida, utilizing the plentiful local citrus, turned native limes into key lime pie. The state of New Hampshire became known for its fried hand pies, quaintly called “crab lanterns.” The Midwest, famous for its dairy farms, favored cheese and cream pies. 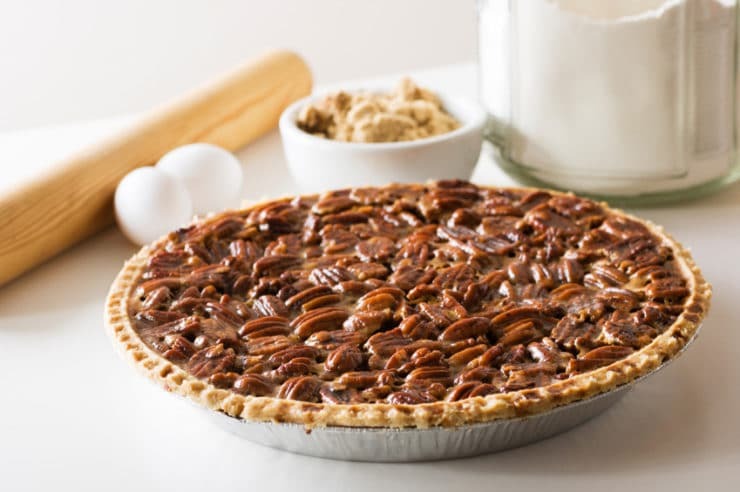 French immigrants to New Orleans created the pecan pie after the Native Americans introduced them to pecans. Massachusetts invented the beloved Boston Cream Pie, a hybrid pie-cake. This colorful variety of pies reflects the diverse tapestry of early American culture. If one wanted to, one could tell the story of our nation through pie. Pies are more apt to prove injurious to persons of delicate constitutions than puddings, because of the indigestible nature of the pastry. Those who eat much of this kind of food, when made rich, (and poor pies are poor things indeed,) usually complain of the loss of appetite, and feel a disrelish for any kind but high-seasoned food. It would really be a great improvement in the matter of health…if people would eat their delicious summer fruits with good light bread instead of working up the flour with water and butter to a compound that almost defies the digestive powers, and baking therein the fruits, till they lose nearly all their fine original flavor. Along with diet, women joining the work force contributed to the decline, and pie-making went from abundant to occasional. But pies never disappeared completely, and after World War II they rebounded. 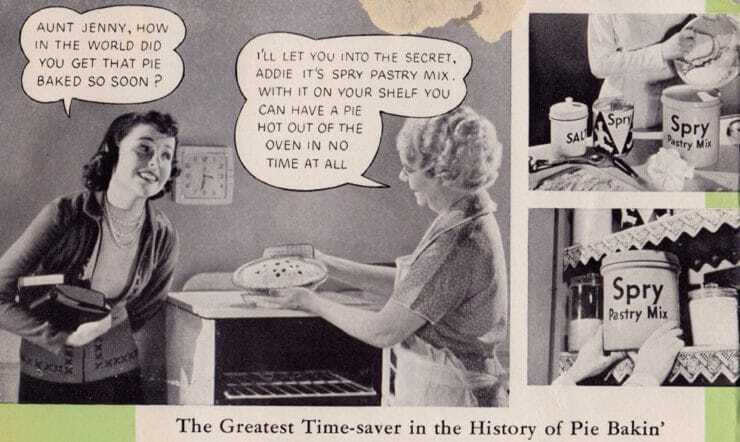 Modern food advances made pie making easier with the advent of shortening, ready-made crusts, box mixes, and instant pudding. By the early 1980’s, pies were “rediscovered” as Americans explored their culinary roots, and they eventually made a successful comeback into American food culture. Now pies are embraced and celebrated as a symbol of America’s abundance. 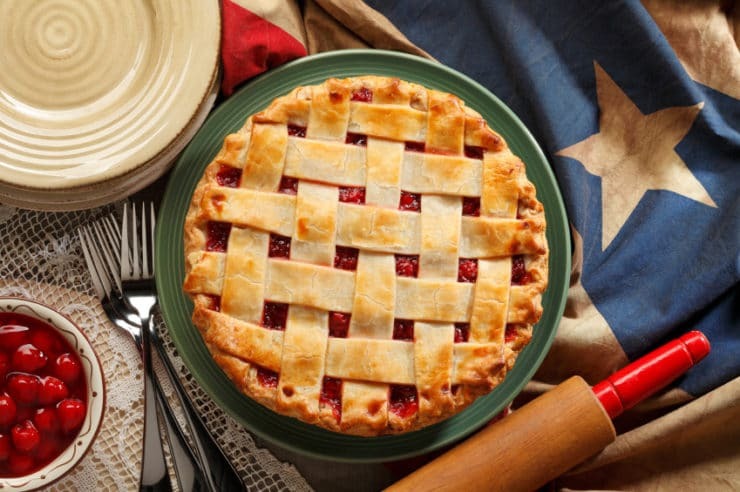 In fact, one of the most popular days for baking and eating pies in America is the 4th of July, our nation’s birthday. Tori, i was taught by some of my elders that pie dough evolved in response to the lack of stable, bake-worthy cooking vessels. early, (pre-roman empire) metals and clay compounds in tandem with fluctuating heat and high temps in wood-fired ovens wreaked havoc on both contents and containers. a heavy dough layer between the surface of the cooking pot, pan or gourd and it’s contents was, for many years, the perfect solution. the resulting crust was not even considered for consumption because it was usually burned. when we went from cooking on open flame to enclosed early ovens it took some cultures hundreds of years to learn not to use soft metals like lead ‘cuz the ore contents were totally unpredictable. the metals often softened to the point where on cooling the food became one with the pan. clay bodies used in ceramic pots often exploded or created strange, inedible glazes with the food. it took amazing strength to chip the pastry crusts out of the dirty pots which is why, in large estate kitchens, or bakery ovens which townsfolk had access to, the scullery staff were not girls, they were young men. good metal pots and pans were so valuable that during periods of political instability they were often cached in odd places to keep them from being stolen- well shafts and grave yards were favored spots for hiding kitchen gear. ta. .
hello. i am looking for Marjorie Mills Pecan Pie recipe. It may be from the 70’s and is fabulous. I lost it in a move. Can anyone help? Thanks. how that apple used to make me smile). With every pot pie I delivered. The milkman, he got strep. Where they bake the good rye. WHO’S GONNA CLEAN UP THIS MESS!!???! Ha! Amazing. Thanks for sharing Miss Priss! Really now! You’re not including a recipe? Shame on you.